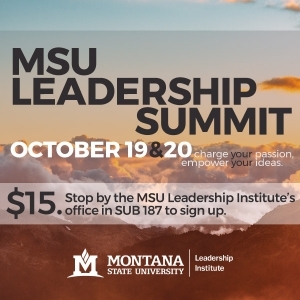 Registration is now open for the October 19-20 MSU Leadership Summit. This overnight conference focuses on supporting MSU students to charge their changemaking passion and empower their ideas. Panels, interactive workshops, keynote speakers, outdoor skill-building activities, lodging, meals and materials are included. 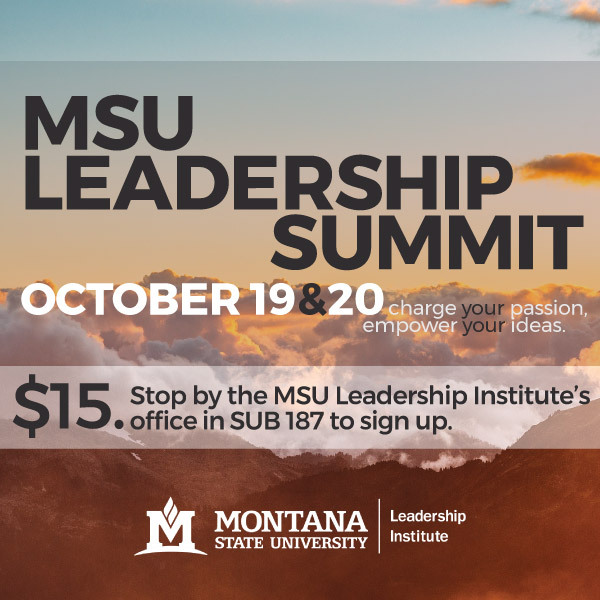 Cost is $15 and students may register at https://www.montana.edu/ecommerce/leadership.